Grand Rapids Veterinary Clinic is a full-service small animal vet clinic with offices located in Grand Rapids, MN and Longville, MN. Our veterinarians provide a wide range of the best medical, surgical, and dental services for dogs, cats, and other small pets, as well as boarding for dogs and cats. 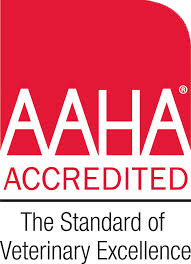 As an AAHA (American Animal Hospital Association) certified veterinary clinic, our professional staff strive to maintain the health and well-being of every animal placed in our care. We promise the highest standard of veterinary care and preventative health programs available for your pet. In addition to the best pet health care services, we offer complete boarding services for dogs and cats. We carry a full line of veterinary prescription foods for your pet’s specific medical condition and stage of life. Nutritional supplements, vitamins, flea control products and dental health products are available thru our in-house pet pharmacy. PetDesk is our appointment and reminder mobile application that helps you more easily manage your pets' lives. Schedule pet appointments more easily, get appointment reminders and even add medication reminders, play dates, or any other type of reminder you need. The app holds all your pets' vaccination histories, appointment histories, and lets you know when it’s time for that next checkup or shot. You can even go the extra mile and log notes, photos, and save their paperwork all in the app. Best of all, it's free! Click the logo to sign up now. 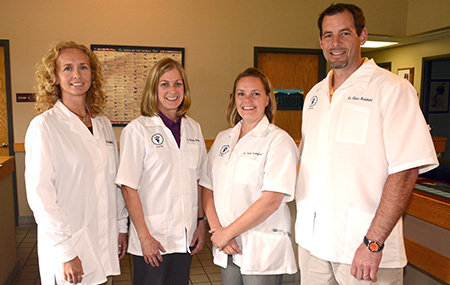 The staff of doctors, certified veterinary technicians, technicians, assistants, receptionists and kennel care attendants at Grand Rapids Veterinary Clinic offer your pet a home away from home. We continually modernize our facility, and our staff are well trained and provide individual attention to all your pet’s needs. Our veterinarians have a variety of interests and specialized skills. Consultation is used frequently within our own group as well with specialists outside our practice. We belong to local, state and national veterinary associations. Regular attendance at continuing education seminars keeps us up to date with new ideas, techniques and treatments. We recommend regularly scheduled visits for preventative procedures including: vaccinations, dental care, heartworm tests and examination for internal and external parasites. If your pet is injured or becomes ill, we are on call, 24-hours a day, for emergencies. We utilize our complete diagnostic capabilities to identify the problem as quickly and accurately as possible. Electrocardiograms, radiographs, blood profiles, bacteriology and other laboratory tests may be used to reach a diagnosis and develop a prognosis. The resulting treatment, whether medical or surgical, will be based on sound medical principals. Every attempt is made to help pets live long, comfortable and healthy lives. Copyright © 2015 - 2019 Grand Rapids Veterinary Clinic. All rights reserved. Website Development & SEO by E3 Consulting Services.